Content marketing is a business strategy that’s rapidly becoming one of the most often used methods of promoting a brand. Naturally, it has also spread to eCommerce businesses, and since it’s a relatively new way of handling marketing, it’s understandable why many business owners don’t know how to pick the right agency for the job. In this article, we will clear the air a bit, and create a helpful guide for those interested in working with an agency, but unsure about how to choose one. First of all, let’s cover the things that a content marketing agency must have. If any of these things are missing, then it’s not even worth to consider hiring them. Not everyone takes their job seriously, and if they don’t, why should you do it for them? 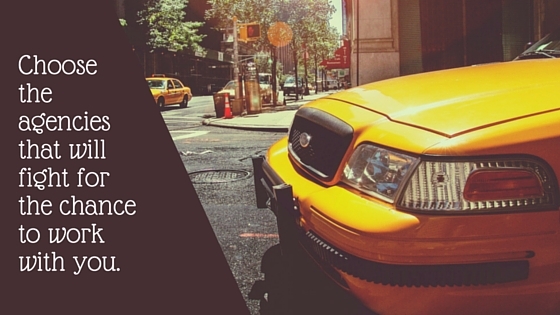 Being a content marketing agency without those is like being a taxi driver without a driver’s license. Talent doesn’t even come into discussion at this point. No amount of talent or experience will make a blog out of thin air. Even if the agency is at its start, they should have created the blog before talking to you. If they don’t even have that, you should just walk away. This is another important matter even though it’s not as obvious as the first. Otherwise, it would’ve been called just “content”. Although most content is written, it can also be images or videos or audio files. I’m not saying that you’ll necessarily need those in your campaign, but it’s important to keep an open mind. There are different strokes for different folks, and that also applies to businesses. An agency that doesn’t know that is like a taxi driver who doesn’t know the city he’s working in. I know I just said that writing isn’t everything, but it’s still going to, most likely, be the bulk of the campaign. There are a lot of aspiring writers out there, but you can’t bet the success of your business on an agency that has high school level writers. An agency without good writers is like a taxi driver who doesn’t know how to drive. An agency that doesn’t take care of SEO is pretty shady by today’s standards. Maybe they are in a partnership with some SEO software, but if they don’t take care of this at all, it generally means they’re unprepared. An agency that doesn’t use SEO software is like a taxi driver without a car. He can still work, but you can’t really count on them. 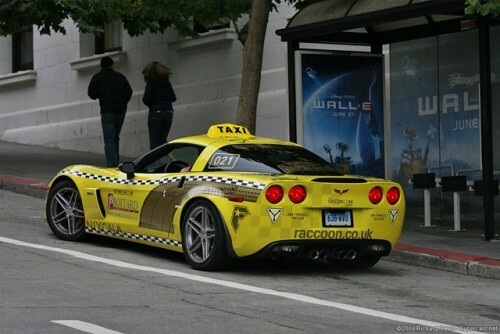 This is the kind of taxi you want. This is a question that anybody should ask when thinking about hiring someone. The problem is that they might not give you a 100% sincere answer, but the question, as basic as it is, can give you a lot of insight. I’m not saying that you shouldn’t hire an agency that’s just starting out. What I’m trying to say is that the agency should have a satisfying answer to such an easy and predictable answer. 2. How have they helped other clients? This question is similar to the first one, so I won’t get into too much detail. The idea is that experience doesn’t necessarily mean success. If they’re serious, they should be able to prove their competence and show the results they’ve had in the past. You should ask to see some case studies. 3. How will they nurture leads? The goal of marketing is to bring in more clients. Find out how they’ll do that. This question is great because you find out two important things. The first is if they understand your business well enough to produce content for it. 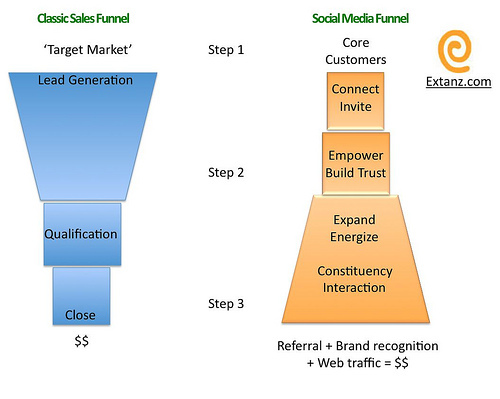 The second is if they have a clear and structured strategy for bringing in leads. In my opinion, if the answer to any of these two points is “No”, then you should move on. Don’t expect every agency to be on point with what your business needs. 4. How will they promote the content? Producing content is only half the battle. Promoting it is the other half. Make sure that they can get people to see the content they make. Then, they also must have strong calls to action to bring people to you. If the agency can’t do that, then it can’t help you either. Make sure that they are competent when it comes to promoting content, and that they work out a plan that would be effective for your business. You want to work with an agency because they should know how to handle the job. That means that they shouldn’t be afraid to tell you when the ideas you propose aren’t good. If the agency you’re working with just goes with everything you say and does exactly what you tell them to do, they’re probably just trying to please you rather than getting the results you need. They are the experts, so let them tell you what their vision is for your marketing strategy. A glaring issue with very many eCommerce businesses is that they don’t think about anything other than offering products. If you know that you’re not the only one who can provide that kind of product or service, you have to find a way to stand out. Otherwise, your website is just another seller instead of the witty, unique and insightful vendor you can be. Original content doesn’t go just on blogs and in social media posts. If you’re selling the same thing as the competition, the difference will be decided by which one presents it better. Dry and boring nine-word descriptions just won’t cut it. Content marketing agencies can help you spice it up. If you’re selling jewelry, for example, have someone write an original description for it, not what everyone else is saying. If you provide clowns for parties, maybe have a bio for each. Pokey the Balloonmancer sounds much better than Clown #5. At the end of the day, remember that the agency has to feel right for you. If you think that they’re the right fit, I say go for it. Also, remember that the content you want to provide is meant to be interesting and enjoyable. Don’t turn away a good pun just to seem more professional. I hope that you now feel more prepared to choose an agency and that the taxi driver comparisons weren’t too unbearable. To find out what Squirrly, bring to the table, take a look here. When coming up with ideas for the business marketing strategy, social media ads are always brought into the discussion. From a far distance, it seems natural. 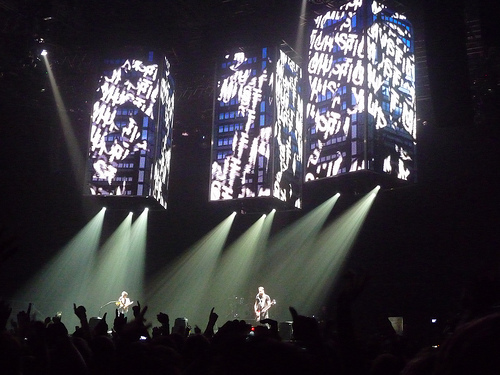 They are a simple straightforward way of letting the target audience know about you. There has to be a bump in the number of clients when you advertise discounts on social media. But are the orders constantly growing after a few campaigns? Or maybe it’s just a short-lasting success. When the subject comes up, you talk about it unknowingly. Unfortunately, in many business meetings you come to decide whether to use one platform or another based on the information you already have. “I’ve never heard of LinkedIn. Let’s not waste time on that platform.” Sounds Familiar? But the sad truth is that a big part of the general population has not heard of many of those platforms and that shouldn’t be a concern for you. Research and find out on which platforms you’ll find your target audience. 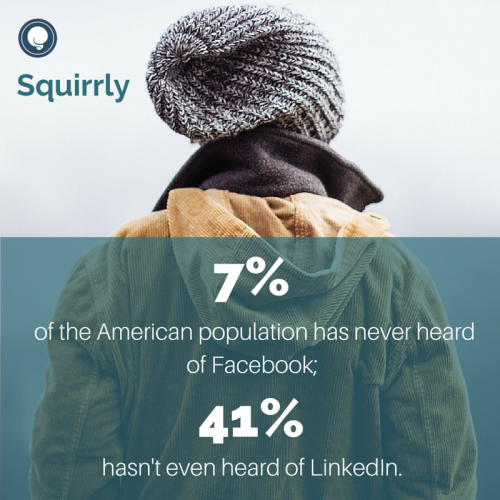 They might not be part of those 7% of Americans that haven’t heard of Facebook or those 41% that had no clue LinkedIn existed. The people that will buy your products might already know the platforms better than you think. If your Social Media ads don’t respect the needs of the users of this platforms, your business might not understand how to use these channels to achieve success. Keep in mind that people won’t buy your product if they have their life invaded by messages from your company that constantly tell them they need to make a purchase. Don’t forget that when you plan your campaigns. As proven by a recent study from the Association of National Advertisers, most online ads are mostly seen by malware software. How does this all work? Quite simple. Your company pays for ads on different sites. 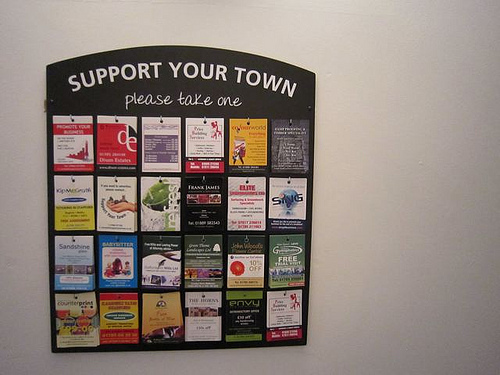 The main idea is for those ads to reach the target audience when they need your product. Then the companies that own the sites your ads appear on pay other companies to boost their traffic. Some pay people who are not particularly interested in that subject to watch videos or visit websites, but others just use bot software to prove that they have more traffic. This pretty much proves, for a good part, that the “audience” that sees your ads is not targeted or human. The attention span people have on the Internet is getting more scattered each minute. You check out a website and after 5 minutes you forget why you are there. Sponsored ads want to get you to buy some products. Pops change your screen to let you find out about the latest updates on the platform and then the native content of the platform catches your attention. In the end, the Social Media ads you created are lost on the page. Or they are simply disruptive information that people can’t wait to skip over. But you have other options. Create inbound content that will make the audience be interested in what you have to share, thus making them come on their own to visit your website. Articles that solve the audience’s problems with the products you offer. Videos that show people how to use the product to get the best out of it. Infographics that present the steps your clients have taken in their own success story with your service. Interviews about the main subject in the fields you work in. Your audience wants to be informed and they need to know they are making the best decision when buying. When you decided to start the Social Media ads campaign, make sure that what your profiles and website represent a clear connection with what the ads say. Let the design of the home page help them find the campaign as well. Also, make sure that the landing page the ads takes them to refers to the same campaign mentioned in the ads. One big internal issue regarding how long-lasting success connects with social media ads is that not all departments know how to relate to it. Most of the times, marketing takes care of it and, for them, it’s clearly connected to some ongoing campaign. However, that isn’t enough. That way, each department knows the purpose of the campaign and knows how to relate to it. 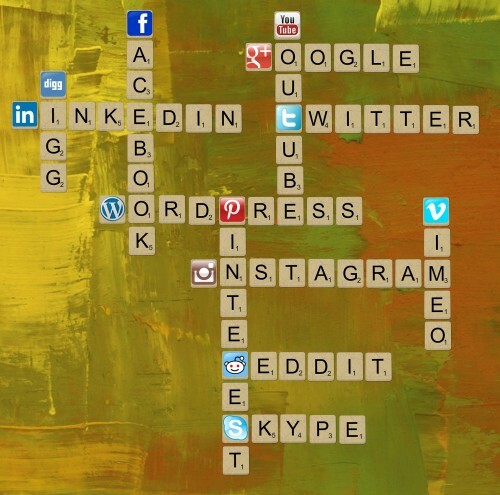 Social media is a communication channel like any other. Paid ads can generate tasks for sales, PR and other departments that need to have a fast way to respond. Beyond the ads, you need to make it easy for your audience to find you. Small tasks like a Content Marketing Strategy for your profile can cause a major problem in converting leads. You might lose lots of possible clients who click your ads just because they don’t manage to use your website, since various errors keep them from doing it. How do you make sure that you are still winning after 6 months? Social Media ads might be the best channel you have right now to get clients. But make sure that this is the solution that will help your business constantly grow. To ensure that your company is not investing money on non-human content, make sure that the approach you are taking creates incentives for the audience. Consider Platforms based on your Target Audience, not your Team’s Experience. Always take into account why people are using Social Media. Make sure that your Profiles and Website send the same messages as the campaign. Remember that all departments need to understand the purpose of Social Media Ads. Check that all the relevant pages work properly. This presentation can make you see how ads can be a great idea, but how they also need to be backed up by content in order to bring long-lasting success. How many times have you set out to implement specific business goals and objectives and solemnly sworn you’d accomplish them? You start out really strong and then end up losing all your motivation quickly. Pretty soon your aspirations fade away before any results are experienced. Have you ever asked yourself why this happens? Most likely, it’s because you set your business goals and objectives based on how others view you instead of your own beliefs. In the online marketing world, if you’re not authentic, your objectives won’t be attainable. Especially if you’re basing your goals upon pleasing society instead of on who you really are. You set a goal and immediately take action toward that goal, never giving a second thought to what your subconscious believes. You’ll go through the motions of the steps that are needed to accomplish that goal for quite a while. Pretty soon, because of these forced actions, people start seeing you differently. From there, you base your identity on what people believe. This isn’t the real you and eventually, because your true beliefs don’t match the actions you’re forcing yourself to take, you’re going to slack off. So when you set your goals and objectives, set them based on your identity…the identity that YOU feel best represents yourself. This is how goals actually come to fruition. They have to be born from identity-based habits. Successful entrepreneurs set business goals and objectives centered around identity-based habits. Identity-based habits and goals are set based on the type of person you believe you truly are on the inside and outside. As a result, people view you based on your beliefs and your actions. When you set up habits based on your inner beliefs, you’re able to reach your business goals and objectives successfully. 1) Set Your Goal: To spend time marketing on social media outlets every single day. 2) Establish Your Belief: I’m the type of marketer who spends at least 45 minutes a day on social media marketing. 3) Make a step by step process for social media marketing. 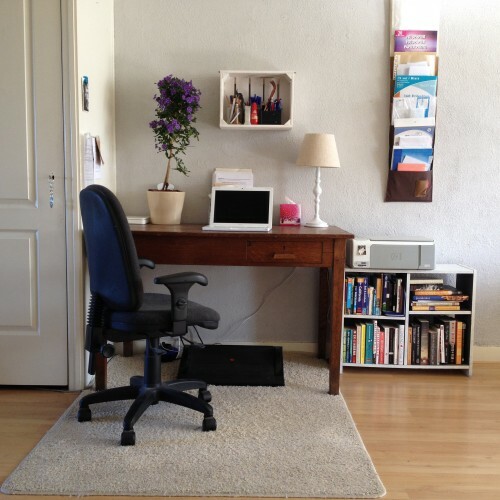 4) Designate a specific time to do it every single day. But What If I Don’t Believe I Can Do It? If you spend your energy not believing you can meet your business goals and objectives, you won’t. This is why you establish the beliefs that help you attain them. Telling yourself repeatedly that ‘you’re the type of person who…’ stimulates the subconscious into action. You begin developing habits that support this ‘established’ belief. Each day, when your actions back up this ‘established’ belief, your subconscious gradually begins to believe that you really are this type of person. One of the most difficult business objectives to reach is producing powerful and consistent content.